Before buying a refrigerator there are a number of things to consider. 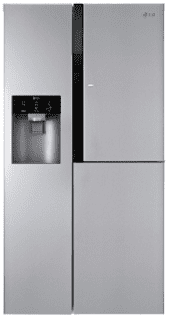 In this page, we have provided some information to guide you in buying the right refrigerator. 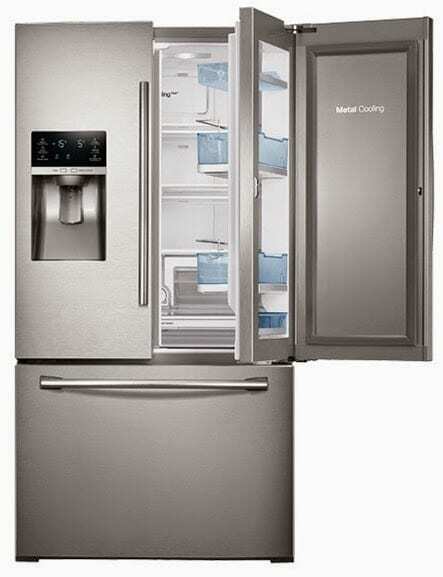 What follows is a guide on how to buy a refrigerator or freezer that will last for many year. Refrigerators are usually long or medium term investment. Most Refrigerators are used for more than five years; hence adequate care must be taken before buying one. You need to determine the use of the refrigerator. Will it be used in a home setting or for commercial purpose? If the fridge will be used in a home for example, is it going to serve as the main refrigerator or will it be for private use. The former will often be larger than the later. Clarifying the use of the refrigerator will help you later in determining the capacity, style or model. In addition, if you live alone or a student, you should buy a compact refrigerator (usually single door). While considering the use of the refrigerator, you also need to decide where the refrigerator will be placed (bedroom, living room, kitchen, private office, general area). You should also ensure that there is adequate space for the refrigerator. For example, it is recommended that you leave at least 7.5cm (about 3 inches) a space in the top, sides, and back of the refrigerator. When considering available space make sure there is enough allowance for the free movement of the refrigerator doors. The most appropriate location to place a family refrigerator is in the kitchen or in a readily accessible point in the house. Locating it in a bedroom may cause the invasion of someone’s privacy. Only personal compact refrigerators should be placed in bedrooms. Refrigerators come in different styles, types and models with the traditional top freezer style being the most cost effective and most popular in homes. However, there are also the stylish french door refrigerators and the side-by-side refrigerators. A refrigerator usually consists of two types of sections or compartments. The freezer section for freezing food and the refrigerator section for keeping food fresh and your drinks chilled. The various refrigerator styles is all about how the two compartments are configured. 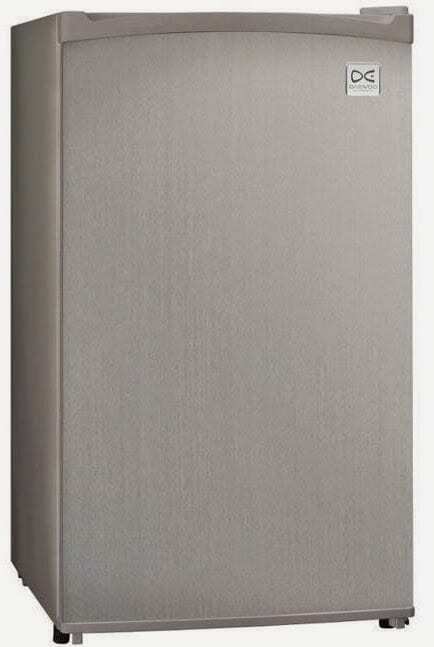 The Top freezer refrigerator style (a.k.a Top Mount Refrigerator) are the most popular in homes. 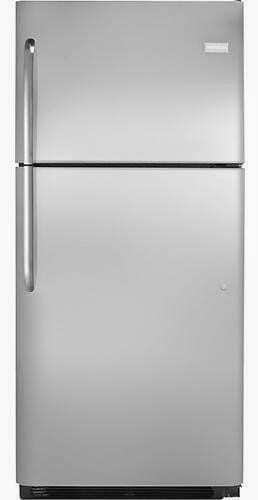 They are usually smaller than the french door style and side-by-side refrigerators and are also lower in price. These refrigerators have two compartments each having a separate door with the freezer compartment on top. 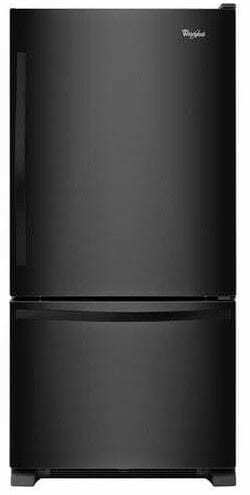 Top freezer refrigerators come in varying capacities from as little as 90 litres for the compact models to as high as 700 litres for bigger models. Some highend models may also offer a built-in water and/or ice dispenser. Prices of a top freezer refrigerators ranges from 40,000 Naira to 450,000 Naira in Nigeria, depending on the storage capacity of the refrigerator. The bottom freezer style is similar to the top freezer model except, that the freezer compartment is in the bottom. Choosing between a bottom and a top freezer depends on preferences. However, bottom freezer designs usually cost more and are not as easily available to the top freezer style. 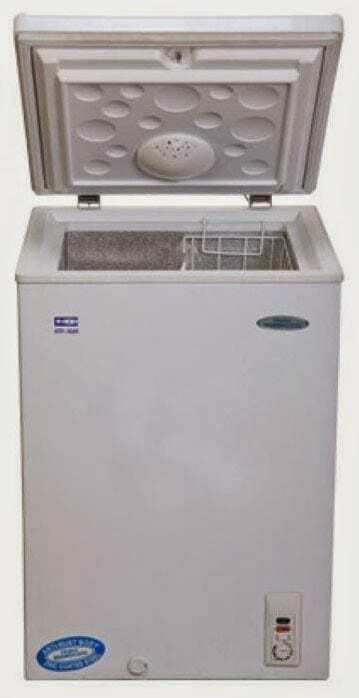 Price for bottom mount freezer ranges from 110,000 Naira t 450,000 Naira. If you are single or a student, you may not require to buy a full-sized refrigerator. A compact refrigerator might just be what you need. Capacities of compact refrigerators ranges from as little as 60 litres to up to 200 litres. Compact refrigerators usually offer a single door through which you access the refrigerator and the freezer sections, but two door compact designs are also available. prices ranges from 22,000 Naira to 180,000 Naira. A side-by-side refrigerator like the name implies offers two doors side-by-side. One door opens the freezer while the other opens the refrigerator side for cooling your food and drinks. Side by side refrigerators are very stylish and fashionable and can add to the decoration in your kitchen. They also come in bigger capacities, usually above 500 litres with prices ranging from 190,000 Naira to 1,200,000 Naira. Some models also offer water and ice dispensers. Side-by-side refrigerators are great for large family sizes and if you can handle the cost. French door refrigerators looks quite similar to side-by-side refrigerators. In fact, a french door refrigerator also has side by side doors, however both doors open the refrigerator sections, while the side by side refrigerator offers a refrigerator on one side and a freezer on the other side. The freezer compartment for a french door refrigerator is located on the bottom and consists of one or two bottom freezer drawers. French door refrigerators are available in similar capacities as side by side refrigerators, but are pricier. Prices can range from around 570,000 Naira to over 1.5 million Naira. French door refrigerators are great for large families and if you stock large amounts of food like monthly. Sometimes you do not need a freezer. All you need is a refrigerator to keep your drinks and beverages cold. This is where coolers or all-refrigerator design comes in. This types of refrigerator offers no freezer, or may operate in refrigeration or freezing mode depending on the setting. They make sense in offices or in commercial applications like in restaurants and supermarkets. The showcase model with transparent glass doors that allow customers see the stock in the refrigerator are often found in supermarkets and restaurants. Having said that it is also important for you to know that there are compact coolers that you can buy for personal use. These can hold from as little as just one bottle to up to 50 bottles. Showcase style Refrigerators Prices in Nigeria ranges from 90,000 Naira to 4,500,000 Naira. Sometimes, you may not actually need a refrigerator, but an all freezer design. Freezers are recommended if you sell frozen food or for institutions and very large families that require to stock frozen food than will be supported by a standard refrigerator freezer. They are available as deep freezers (a.k.a. chest freezers) or upright freezers. Once you are clear about the model or style of refrigerator that you want, you need to determine the capacity you require. A number of factors determine the capacity of the refrigerator that you buy, your life style is one, if you eat out most of the time, your refrigerator capacity will be smaller than a person who usually cooks at home. Then the size of the family or household is also a factor. Other factors are your energy budget and the amount you are willing to spend on a refrigerator. A refrigerator will be more expensive as the capacity increases. A large family will need a larger refrigerator capacity than a smaller one. If you buy a larger capacity of refrigerator than you need, you will waste money supplying energy to an almost empty refrigerator and that is not good for the planet. An overly large fridge will also occupy valuable space. On the other hand if you buy a refrigerator with a smaller capacity than you need. It will always be overcrowded with your stuff. An overcrowded refrigerator will struggle to circulate cool air and will require more time and energy at your cost to cool your items. The most important measure of a refrigerator’s capacity is its size. It is usually measured in cu ft (cubic feet) or Litres. There are some rules for determining the right size for your refrigerator but common sense is the best rule. For example a compact refrigerator of capacity 131 litres to 200 liters (4.5 cu ft to 7 cu ft) will be okay for one person, while two persons can use a 270 litres to 340 litres (9 cu ft to 12 cu ft) refrigerator. A family of four can use a fridge of capacity 390 litres to up to 510 litres (13 cu ft to up to 18 cu ft). Larger families should buy fridges in excess of 510 litres (18 cu ft) with 50 litres to 85 litres (2 cu ft or 3 cu ft) added per additional member of the household. However common sense is the best guide in choosing the right capacity for your refrigerator. If you already have a refrigerator and simply want to replace it, you are in a better position to determine whether you need a larger or a smaller refrigerator. If your current refrigerator is always crowded then you should go for a much larger size. On the other hand, if it is always empty then a smaller size should do. In all this consider future plans (marriage, children, etc). Your lifestyle is also an important consideration, if you eat out; you need a smaller fridge than normal. On the other hand if you cook mostly at home, you need a larger fridge than normal. Your stocking pattern is also important. If you buy food on a daily basis or you buy food for storage for a shorter period (say less than a week) then you need a smaller refrigerator. However, if you stock-up for weeks or months, a larger fridge will be more appropriate. The key is to use common sense. The capacity may also restrict the refrigerator style you buy as different styles are limited to certain capacity range. Cabinet depth refrigerators are slimmer so that they integrate better with cabinets in your kitchen. A cabinet depth refrigerator will align perfectly with your kitchen cabinet and not protrude, making your kitchen look neat. Cabinet depth is all about taste and style. They may be available as french door refrigerator or side-by-side refrigerator. With mobile phones, watches, TVs, and cars going smart, the refrigerator is not going to be left behind. Smart refrigerators come with a lot of cool features that adds lots of value to the entire experience. They come with Wi-Fi and run apps. A smart refrigerator for example, can inform you when you are out of milk or if the milk in your refrigerator is reaching its expiring date. Some models also support voice control. Some smart refrigerators also offer built-in cameras that will enable you to remotely see what is inside your fridge via a smartphone. Smart refrigerators are not mainstream yet. You should ensure that the refrigerator uses the power supply voltage value that is applicable in your country. In the United States for example the power supply is 110V-115V. In UK, Nigeria and most African countries the power supply voltage is 220V-250V. However, most fridges sold in your country are likely to come with compatible power supply. This guide is only important if you want to import from another country. You should determine whether existing power sockets (points) can support the capacity of refrigerator that you intend to buy. If not you will need to install a dedicated switch for the fridge. There are lots of fridge manufacturers some with good reputation. Some brands are more popular than others in some countries. In the US and UK there are popular brands like Whirlpool, Amana and Kenmore. These brands are however not so popular in Nigeria. In Nigeria, Kenya and some other countries refrigerator brands like Haier Thermocool, Samsung, LG, Polystar, Midea, Hisense, Nexus, Scanfrost, Ocean, Skyrun, Bruhm, Newclime and more are popular. At this point you already have a reasonable idea of what you need. The next step is to determine the price. The price of a refrigerator increases as the capacity or the number of features. The more you want the more you pay. You can checkout Refrigerator Prices in Nigeria. You need to do a market survey. Visit our Partner Store to find out the price options available across brands, features and capacity. If you are in Nigeria you can visit our authorised refrigerator dealer list and call or visit the dealer closest to you. 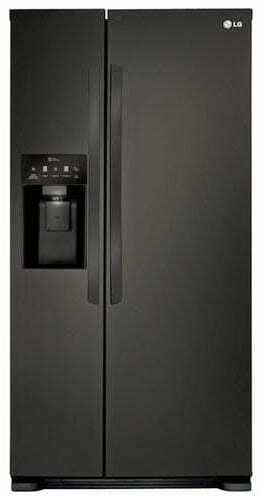 At Jumia Online Store you will find refrigerators and accessories from world leading brands. You can compare prices and read feature information of any product at Jumia Online Store. You can also read product reviews. This is great as you get to read unbiased experience of visitors who recently bought the fridge you intend to buy. You can also determine whether you can get financing for your refrigerator purchase. You can talk to your bank for options available in your location. In countries like the US and UK product financing is common than in those in Africa like Nigeria. However, today financing is now available in most of the leading banks in Nigeria. Note that you will pay interest on your purchase. Hence it is more expensive. But the flexible payment option is very inviting. Once you are sure of what you want to buy and you have a good idea on price, you can then visit an authorised dealer shop to make your purchase. You may buy from any of the same shops you did your market survey preferably the one with the best deal. However, wherever you buy make sure it is from an authorised dealer shop. An authorised dealer deals directly with the manufacturer and will often offer you a one to three to ten years warranty on the fridge. The warranty often involves repair or outright replacement of the refrigerator if it develops any fault during the tenor of the warranty. The fault must not be as a result of your carelessness. Warranty is often limited, so clarify what the warranty includes and excludes (terms and conditions). Authorised refrigerator dealers also offer excellent after sales services. They also offer refrigerator financing. You will gain more by buying from an accredited dealer shop. That is a wrap. Hope you found our guide on how to buy a refrigerator useful.